Former SEC chair Chris Cox says "we've got to [stop] people going rogue" in an admission his former agency has exhibited prosecutorial overreach. Can U.S. investors obtain justice? The discouraging answer is that if you’re a billionaire prepared to give up five years of your life waging a full-court defense, then justice might eventually prevail. 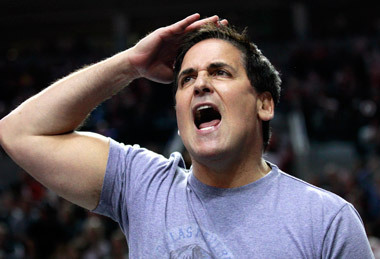 That startling conclusion emerged from what was billed as a “debate” between billionaire investor and Dallas Mavericks owner Mark Cuban and former SEC chair Chris Cox, the man who ran the SEC while Cuban was accused of insider trading, a charge of which he was cleared last year. The encounter—the two men’s first face-to-face meeting—took place on Tuesday in Las Vegas at the MarketCounsel conference, a gathering of over 500 investment industry representatives, mostly independent financial advisors. Indeed, the two men painted a picture of a rogue agency rife with prosecutorial misconduct. “The SEC is not looking for justice, it’s looking to win,” said Cuban, whose 2004 sale of Mamma.com stock aroused the suspicions of the regulator of U.S. securities markets. When SEC investigators first asked Cuban about the transaction in 2004, he told them everything he knew, saying he had nothing to hide. “They lost those notes in 2004,” Cuban said, and though someone else apparently engaged in illicit trading of the stock, four years later the agency filed charges against Cuban. A somewhat subdued looking Cox added that prosecutorial misconduct is a widespread problem throughout government, citing as an “egregious” example prosecution of the late Sen. Ted Stevens. “We’ve got to [stop] people going rogue,” said Cox, now a securities attorney in private practice. The former SEC chairman traced the problem to the lopsided emphasis the agency places on enforcement, which accounts for about half of its 4,300-strong, lawyer-heavy staff, who brought 686 enforcement actions this past year. That compares to 44 such cases brought in the U.K., the second busiest securities enforcement jurisdiction, Cox revealed. To Cuban’s cri-de-coeur: “Why didn’t you do anything [about that] while you were there?” Cox replied that it is hard for SEC chairman, whose average tenure is 2.5 years, to do anything. “It’s a little bit arrogant to come in and … turn the place upside down,” said Cox, who spent three years at the agency’s helm. A chastened Cox admitted that the agency’s reliance on administrative law judges may be “foreshortening the rights of defendants,” since facts in dispute are “frozen” if the case goes to an appeals court, where only matters of law are discussed. The audience—as did Cox—seemed generally sympathetic to Cuban, who asked how many attendees thought that markets were safer today than 10 years ago. No more than 10 people raised their hands; nobody’s hand was seen raised in response to Cuban’s further question: Is it easier to raise capital in the U.S. today than 20 years ago? Cuban noted that there are 80% fewer IPOs today than that time. The billionaire Dallas-based investor spoke movingly about the painful toll his fight against the SEC took, citing the times he rose in the middle of sleepless nights to perform a google search for potentially vindicating information, or the times he was too distracted by the case to pay attention to his kids. Cuban has worked to draw attention to the SEC’s dereliction of duty, producing in one instance a YouTube video asking a basic question of the SEC, who referred him to a webpage containing a copy of out-of-date guidance from a letter the agency issued in 1980. “Have they changed anything since I posted the letter? Hell no. They just don’t care,” Cuban said.